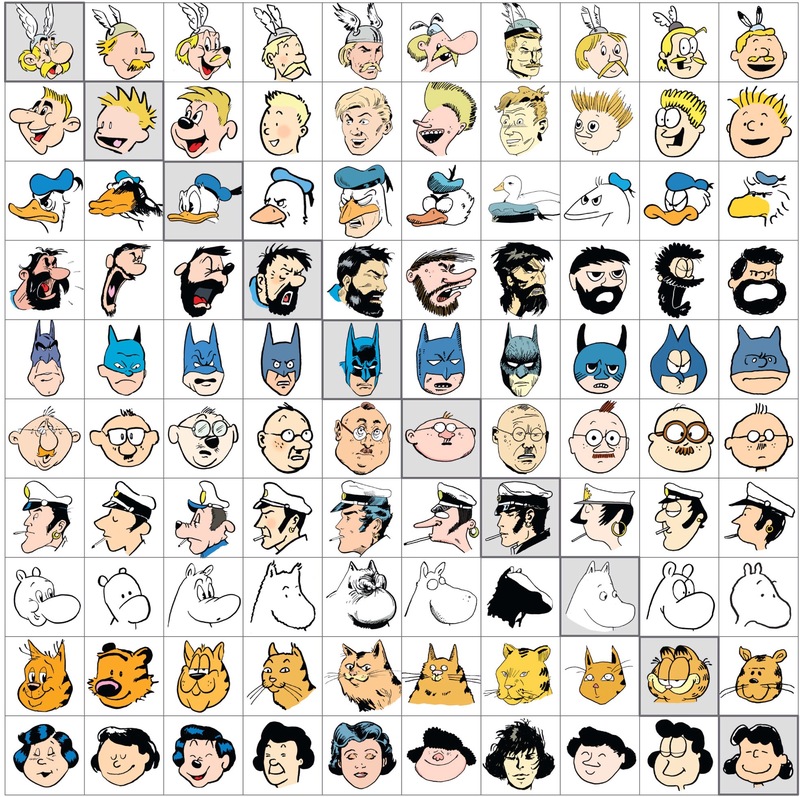 Via kottke, check out this crazy table of cartoon characters drawn by artist Jaakko Seppälä. The diagonal from top left to bottom right (shaded gray) portrays a variety of familiar cartoon characters; the rows contain re-interpretations of these characters based on the cartoon styles of the cartoons in the shaded area in each column. Genius!